Founder Ashleigh Cotterill sources herbs, roots and spices from around the world. Cotterill sourced herbs, roots and spices from around the world, and worked with a blender in Melbourne to create flavourful tea blends with specific health benefits under the label Tea Bird Tea. The name was derived from one of her paintings and art is infused throughout the company’s operations, from the striking tins wrapped in original artwork to hosting artists in residence — an initiative she started when her husband was relocated to Malaysia three years ago. 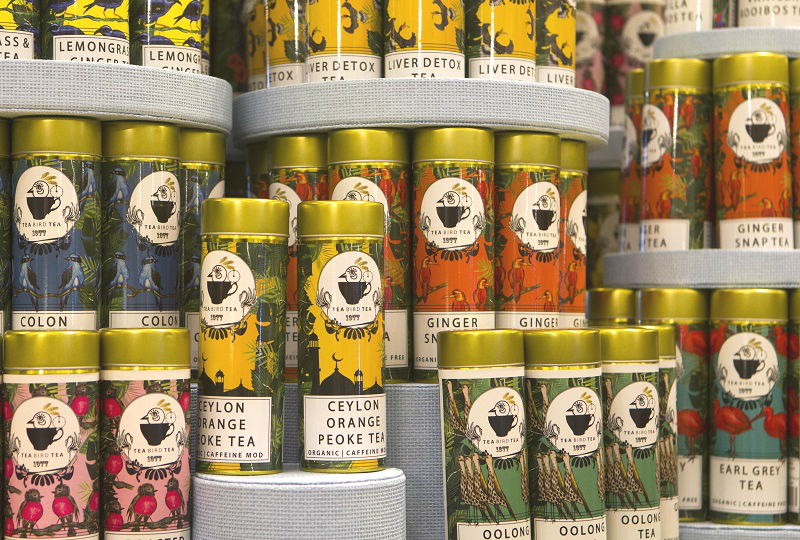 A strong local tea-drinking culture welcomed her range of hand-packed, caffeine-free, organic teas packaged in compact travel tins, refill packs and collectible tins. Retail prices range from RM20 to RM85 and favourite flavours include the Colon Cleanse, Alkalizing PH with Turmeric, Ginger Snap, Lemongrass & Ginger and Frankincense Organic Teas. However, her fans today extend well beyond local borders. Stocked in over 20 supermarkets around the Klang Valley, Cotterill also just launched in Singapore and has distribution plans for Bali and Borneo in the books. Online orders through her website reveal a huge fan base in the US, particularly in California. 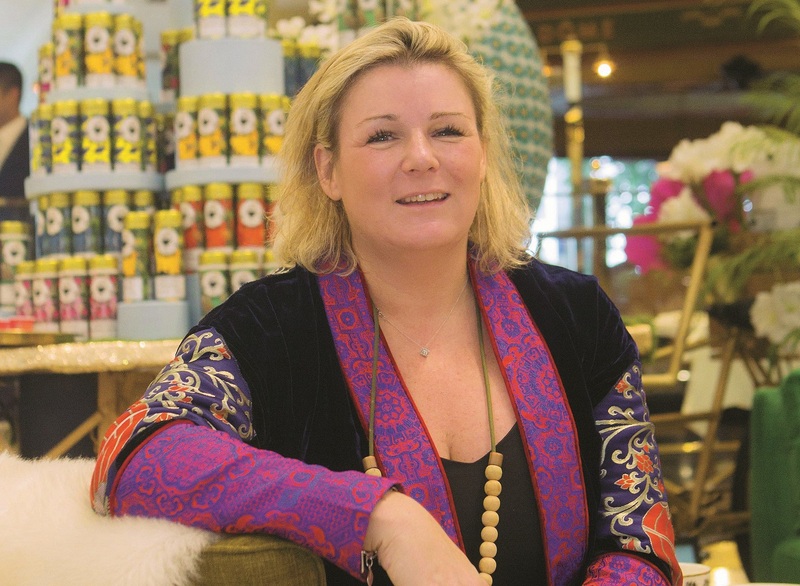 “We just released an exclusive blend for fashion label Lisa Von Tang in Singapore to enhance the boutique experience for customers,” says Cotterill, who can customise tea blends and packaging for special occasions. “We put a lot of thought into the experience, with specific blends for different times of day.” Spicy morning tea Firecracker Fatburn accents green tea with peppermint, lemongrass and chilli; antioxidant-rich Vanilla Rooibos with organic vanilla beans, rose petals and pear is served at noon; and the cleansing Lemongrass & Ginger is the perfect after sunset wind-down. At the quirky Tea Bird Tea House in Bangsar, which serves as her office and walk-in boutique, this season’s artist-in-residence, Sharon Yong Abdullah, has her work displayed on the walls as well as on tins of the intensely fragrant Hibiscus and Vanilla Tea blended specially to celebrate the collaboration. Just as she curates blends for well-being — Tea Bird Tea also has 5, 10 and 21-day Teatox programmes — a percentage of proceeds from sales are channelled towards Fugee School, an education hub for refugee children. In the interest of being more environment-friendly, paper bags will soon replace aluminium packs and refills will be available at zero-waste, bulk-food provision centres such as The Hive in Bangsar.